to discover on your search for steel reinforcement mesh and other construction supplies. What is fibre cement used for? One of the main components of long-lasting building materials is fibre cement – which you’re sure to discover on your search for steel reinforcement mesh and other construction supplies. The main areas they are used in are roofing and cladding. 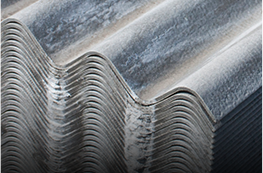 Where roofs are concerned, fibre cement can be found in slates and corrugated sheets. For external cladding, you can find the material in flat sheets for wall copings, soffits and wind shields, corrugated sheets, planks and underroof. As for internal cladding, fibre cement is found in tile backer boards for wet rooms, is used as fire protection and can also be found in partition walls, ceilings, floors and window sills. So what exactly is it? Basically, fibre cement is just a composite material that has been made from cellulose fibres, cement and sand. Fibre cement cladding can be found in a variety of forms but it’s typically seen in sheet form and in horizontal boards. It can be used to cover the outside of a house, as a tile underlay in bathrooms and eave linings, and can also serve as a substitute for timber fascias. There are many advantages to using this type of building material. For example, fibre cement is less likely to rot, is not susceptible to termites, is more resistant to fire damage, is resistant to warping, is easy to work with, is low maintenance and is also resistant to permanent water damage. You’ll also find that it’s particularly energy efficient because it uses up less energy in assembly and construction than all other materials – excluding timber. Profile 6 is a high strength fibre cement sheet with polypropylene reinforcement strips inserted along precisely engineered locations which run for the full length if the sheet in each corrugation. This provides maximum reinforcements strength with no loss of disability in service. The cut-away illustration bellow shows the location of the polypropylene reinforcement strip inserted in a precisely engineered position in each corrugation of the Profile 6 sheet. The lower profile of this product makes it particularly suitable for a range of domestic, agricultural and light industrial buildings. It can be laid to a minimum roof pitch of 10°.